What is amazing about Immersive Live Roulette by Evolution Gaming is that it is made for both low and high stake gamblers. This is because the minimum betting limit is put at £1. On the other hand, the maximum betting limit is fixed at £10,000. Read the review below to get more details about this Mobile casino gambling game. In getting to play Immersive Live Roulette. Players should remember that they need to select their betting chips before they can play. You have six chip sizes available and as mentioned previously the minimum bet is £1 and the maximum bet is £10,000. For the betting chip size, you have a minimum of £10 and a maximum of £2,000. The betting table emerges when the ‘Place Your Bets’ button is clicked on. To begin a game you have to select the number or area you intend placing your bet on once your betting chip has been selected in this Mobile casino. 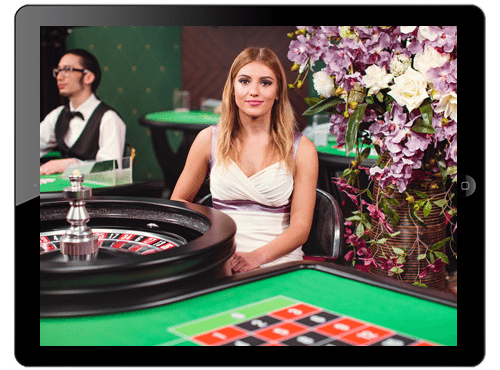 The interface of Immersive Live Roulette consists of various camera options and a full-screen mode for improved visibility. It is possible for players to vary the video quality on offer if they cannot play due to an inadequate internet connect. The picture quality is in HD and apart from a full-screen mode this game has a slow motion and zoom in/out camera options. This online casino gambling mobile game has several types of bets available. Players can place Special bets and Neighbour bets if they prefer. In Immersive Live Roulette, players can expect to see a user-friendly interface comprising of various control options. You can adjust the playing screen if you like and you have the option of viewing the game from different angles. The picture quality is HD and the sound effect pulls you into this European style roulette game. This version has a single zero digit on offer. You can bet low or bet high on this video roulette. Players will be enthralled by the level of in-game flexibility. The options for game control and betting makes this one of the most playable online roulette you can try out today. Do not forget that with a £1 bet you can start playing even if you are not a regular gambler. However, high rollers can make a bet of £10,000 in anticipation of even greater rewards.